RME is led by a senior management team experienced in the management of technology development teams, start-up operations and product commercialization. Bill is an experienced manager of start-up companies. His entrepreneurial career started in 1997 when he was co-founder of an Internet business-to-consumer commerce company that subsequently went public. Bill then helped start two companies in media technology and business process automation before co-founding RME in 2007. 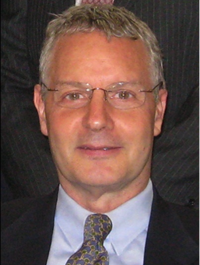 Earlier in his career, Bill was an investment banker at First Boston Corporation where he was a member of the Electric Utility Corporate Finance Group and later he was Vice President of the North American mergers & acquisitions team at Rabobank International and Vice President and leader of the food & agribusiness investment banking team at Prudential Securities. As Chairman of the U.S. delegation to International Electrotechnical Commission (IEC) TC-114, Bill is deeply involved in the development of international standards and certification protocols for marine energy technologies. Bill is an Advisor to the UNC-Coastal Studies Institute, a member of the board of the World Ocean Council and serves as a volunteer Catalyst for the MIT J-WAFS program. 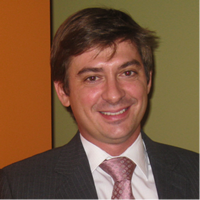 Olivier Ceberio has extensive experience building and leading technology development and product commercialization teams. He is a dual MBA/MPA graduate of MIT Sloan School of Management and Harvard Kennedy School of Government. While at Sloan/KSG, Olivier interned for McKinsey & Company and the World Bank on projects that focused on leadership development, rural healthcare and education. Previously, Olivier was a "rocket scientist" at Starsem S.A. where he directed satellite launches and managed the development, production and inaugural launch of a revolutionary new rocket system. Olivier obtained his Master’s degree in Aerospace Engineering from Institut Supérieur de l’Aéronautique et de l’Espace"(SUPAERO) in 1996. Resolute has assembled a team of highly experienced and, in some cases, world renowned, engineers and advisors who contribute daily to the success of the company. The co-founders of Resolute are focused on attracting and retaining a highly-skilled and diversified workforce that shares our commitment to build a profitable enterprise that can have a significant impact on several of the most pressing issues facing the world today i.e. water, food and energy security.